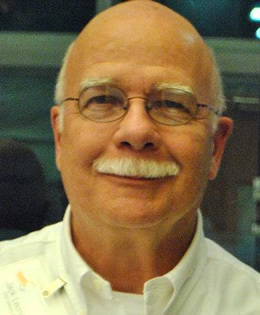 All PPCT seminars, Instructor or Basic, incorporate the Survival Learning Principles as developed by PPCT's founder, Mr. Bruce K. Siddle. The most recommended training for law enforcement. Its core areas are Survival Learning, Control Principles, Use of Force, Instructor Development, Tactical Handcuffing, Joint Locks and Takedowns, Pressure Point Control Tactics, Defensive Counter Strikes, Shoulder Pin Restraint, Weapon Retention/Disarming, and Straight/Collapsible Baton. Recommended participants are police officers, probation and/or parole officers, and military law enforcement. This course was originally designed for correctional officers. Core areas for this class are Survival Learning, Control Principles, Use of Force, Instructor Development, Pressure Points and Motor Points, and Defensive Counter Strikes. 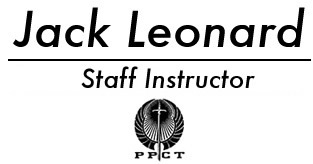 Its original user group now has more extensive training available with PPCT's Inmate Control Program, so this course is now mainly used by security personnel, especially those who do not carry firearms. This course is specifically designed for the officer who wants/needs certification in the area of an impact weapon as an intermediate control tool. Areas of instruction include Survival Learning, Control Principles, Use of Force, Instructor Development, and Blocking and Striking Techniques with the Baton. This is another course of instruction particularly useful to officers who do not carry firearms. This course was designed specifically for the field of corrections. Core areas are Survival Learning, Control Principles, Use of Force, Instructor Development, Tactical Handcuffing, Joint Locks and Takedowns, Pressure Point Control Tactics, Defensive Counter Strikes, Shoulder Pin Restraint, Weapon Retention/Disarming, and Straight/Collapsible Baton. Recommended participants are correctional officers, and deputy sheriffs assigned to county prisons. This course has been limited in the past to retention and disarming techniques for the pistol. However, long gun retention and disarming techniques are currently being introduced in the PPCT Defensive Tactics program. There is a distinct possibility that these additional techniques will also make their way into this program as well. Core areas are Survival Learning, Control Principles, Use of Force, Instructor Development, Counter Strikes and Motor Point Strikes. Recommended participants are armed officers who have been trained in other disciplines and would like to supplement their combat readiness. This course is a realistic program designed to help the officer maintain his/her footing and regain it should the officer be taken to the ground by an assailant. Its general areas of instruction include Survival Learning, Control Principles, Instructor Development, Use of Force, Pressure Point Control Tactics, Counter Strikes, and Motor Point Strikes. Recommended user population would be police officers, correctional officers, and probation/parole officers. This course is an extremely demanding seminar created to help officers deal with edged weapon assaults when the use of the firearm is not applicable (jammed, out of ammunition, lack of reaction/response time. Its areas of emphasis are Survival Learning, Use of Force, Control Principles, Instructor Development, Defenses for both Spontaneous and Stalking Edged Weapon Assaults, and Offensive Knife Work. The course also includes confidence and inoculation drills to make the officer more prepared to deal with an edged weapon assault. Recommended for police officers, correctional officers, probation/parole officers, and military personnel. This course is being listed under Civilian Courses, but it is applicable to both Civilian and Law Enforcement personnel. The seminar has been developed by world-recognized school safety experts Michael and Chris Dorn, in collaboration with the pioneer and leader in the field of survival learning, Bruce K. Siddle. The program is designed to provide realistic action steps toward safer schools. These actions can be achieved by all levels of school personnel, and in fact one of the program's strengths is that it promotes coordinated efforts from all employees. Such improvement can occur in all schools, ranging from Montessori schools to Catholic Schools and large public high schools. The program has been shown to work in schools in other countries as well. Certified Instructors in the School Safety & Healthy Children seminar will be trained in the following core areas: School Climate and Safety, Common classroom and School Hazards, Situational Awareness for Safety, Security, and Emergency Preparedness, Reducing the Risk of Physical Assaults, Weapons Assault Prevention, Homeland Security for Schools, and Warning Signs of Destructive Youth Behaviors and Positive Intervention Action Steps. Instructors will also be certified to teach "mini" seminars for both students and parents. Recommended participants would be School Administrators, Teachers, School Counselors, School Resource Officers, and school Insurance Representatives. This course was the first civilian course developed by PPCT. Utilizing Survival Learning, Control Principles, and Instructor Development with physical techniques mainly from the Defensive Tactics program, this course provides three levels of defense for women. The first level teaches women to avoid dangerous situations through Prevention Psychology and Principles of Avoidance. The second level deals with low-level physical techniques to deal with Passive Assaults, Unwanted Physical Contact, and Wrist Grabs. Finally, the third level provides Defensive Counterstrikes, giving women tools to deal with more serious physical assaults. The three levels can be taught individually, in groups of two, or all three levels. For this reason, the course can be tailored to diverse or multiple needs. This course was created to help members of the health professions to deal with patients who offer resistance beyond the verbal range. Its core components include Survival Learning, Control Principles, a Use of Force Continuum specifically designed for health care professionals, Instructor Development, Contact Controls for low levels of resistance, Compliance Controls for medium levels of resistance, and High Level Controls for serious assaults. Recommended participants would be physicians, nurses, hospital security officers, residential care-givers, and paramedics (first responders). This is a course designed to provide non- sworn personnel in agencies such as the Bureau of Alcohol, Tobacco and Firearms training in self-defense and escape. It combines PPCT's Survival Learning material, Control Principles, and Instructor Development with various awareness training and physical techniques to help such personnel avoid danger through preparation. It also provides physical techniques to deal with various levels of physical assaults all the way up to Deadly Force. Since such personnel would not be placing subjects under arrest, the ultimate goal for all techniques is escape. Basic Seminars certify graduates as basic users of the discipline. Any of the Instructor Seminars are also offered at the Basic Level. A Basic Level course that covers numerous situations in a woman's life when she should be practicing planning, awareness, and being ready to defend herself. Mr. Leonard has been conducting these classes since he began teaching them for the Community College of Allegheny County in 1983. These presentations expand upon the material provided in the SHARP Course and can be tailored to meet a company's or social group's individual needs. Class content and length can be customized to each group of participants, depending upon the type of class wanted and the amount of time available. Like the SHARP Course, these presentations can be all prevention, or all physical techniques, or a combination of the two. A Basic Level seminar designed by Joel Johnston, a member of the Vancouver Police Department's Emergency Response Team. The course provides event security personnel training on how to deal with unruly patrons at such venues as stadiums, arenas, race tracks, casinos, nightclubs, etc. Core areas of the class are Prevention Strategies, De-escalation Concepts, and as a last resort, Physical Control Options for Evictions. Recommended participants are security personnel for any large public group. Registration for any of Jack's Seminars can be accomplished by telephone, by USPS, or by email. If your agency needs a course description and/or registration form when you submit your training request, please contact Jack by telephone or email and request same. The form can be sent to you via FAX or USPS.